Focus topics: Military Systems; Long Range / Medium-High Payload Systems; Specialised/Irregular Delivery Systems; Urban Delivery Systems; Autonomous operation architecture; Regulatory issues; New value chains / business models, and many more.. 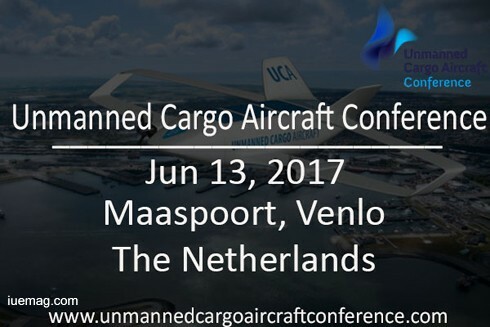 The iUeMagazine team is delighted to work with the Unmanned Cargo Aircraft Conference as Online Media Partners & is expected to bring Unlimited Inspiration for all readers from the proceedings of this event. Staying tuned to the enriching updates from this event is recommended. Any facts, figures or references stated here are made by the author & don't reflect the endorsement of iU at all times unless otherwise drafted by official staff at iU. This article was first published here on 14th March 2017.